Knock Out Service & Results!!! Buying and selling a home is one of the biggest events in your life. Trust should always be #1 when you are looking to hire a realtor, Lauren always has her clients best interest at heart. There are some great opportunities out there if negotiated by the right agent! The market is changing, with the high demand and low inventory this is driving prices up. 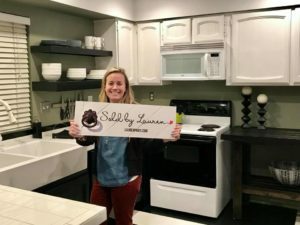 Lauren Paris has lived here since 2000 and she has more than 14 years experience in this market. As a top Las Vegas & Henderson REALTOR®, she has the knowledge, experience & a track record you are looking for.